Quora, the Q and A website based in Mountain View, CA is famous for a few things, including its registered members having to use their real names, instead of a username. Over the years, community effort and pressure has weeded out the usual anonymous trollers and spammers you often find on other discussion sites. Rather than trying to explain Quora, just see their history HERE. As of September 2018, they claim more than 300 million unique users. Their newest feature, called Spaces, is where certain invited users (for now) are given the ability to create a separate space on Quora dedicated to a group or a certain interest. You can post articles, create links, write posts, provide news, or ask questions – all in the same place. But what differs Spaces from your usual forum or blog is the ability of each member of a Space to enable new content to be sent to every person who is currently following them at their main Quora profile. This creates an exponentially-growing community for that particular space, since the number of Quora members being sent notifications of new content increases dramatically as new members join. Because of this structure, a Quora Space can soon acquire thousands, or tens of thousands of Quora users receiving notifications very quickly. It seems to be working, too. Even though Spaces was only enabled a short time ago, many of the Spaces created are already numbering thousands of members. Or…at least other Quora members receiving notifications of new content. They can opt out if they wish, but they usually don’t if they find the subject interesting. Recently, this writer was sent an invitation to create my own Space on Quora, so I chose the name Everything D.B. Cooper and sent out notifications to all my followers, and started recruiting others for content. Most of these people had already asked or answered questions at Quora on the D.B. Cooper case. We will see where it goes. I also notified certain groups, such as Unsolved Mysteries and the D.B. Cooper category members. It’s early, but I think this will work out just fine as a central location for Everything D.B. Cooper. 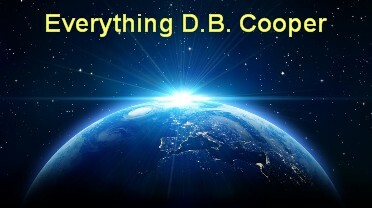 Rob Bertrand (NW Escape Experience) and Darren Schaefer (DB Cooper Podcast) have come on board as contributors and have been promoted to administrators as well.